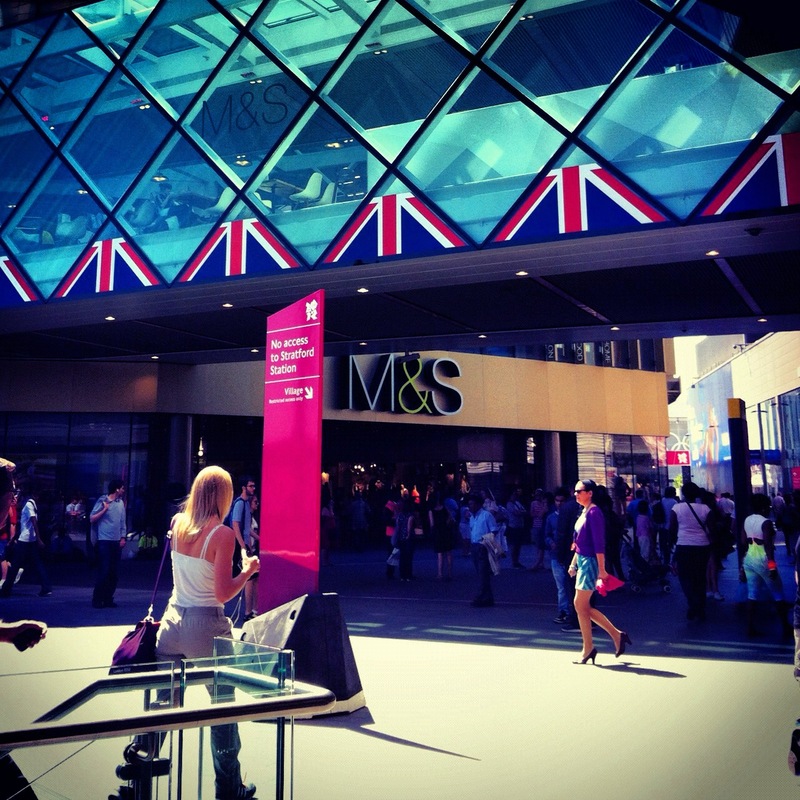 London is baking under the blazing sun! I am not complaining but I’ve found a bit too intense too soon? Come on, we had been surviving in below 18 degree for a long time. Then, all the sudden, this heatwave with almost 30 degree. It is a shock to my system. 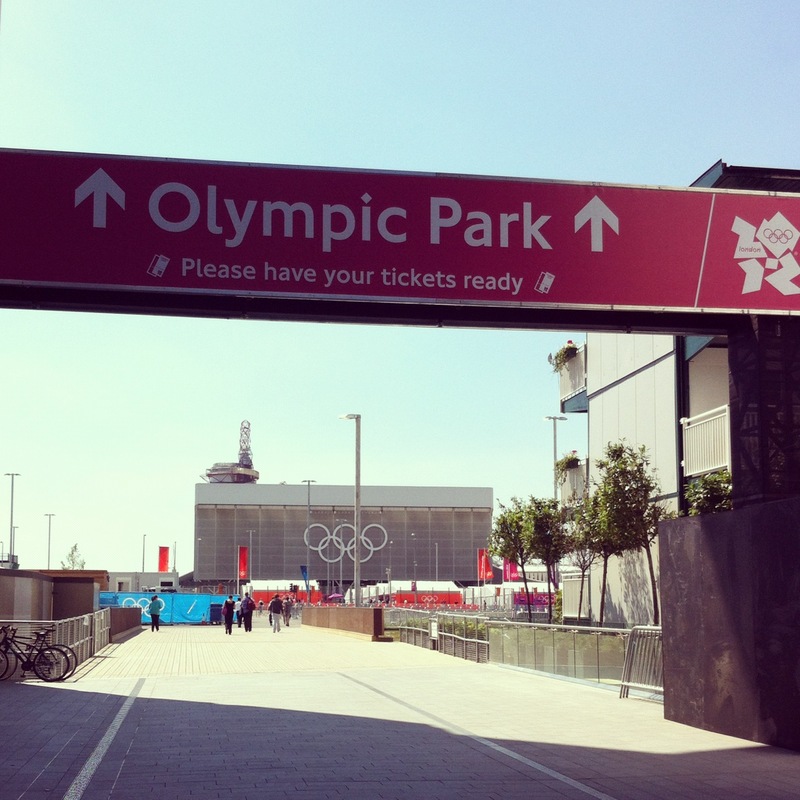 Anyway, I decided to travel to the Olympic Park today for picking up the tickets I secured the other night. I used Central Line. 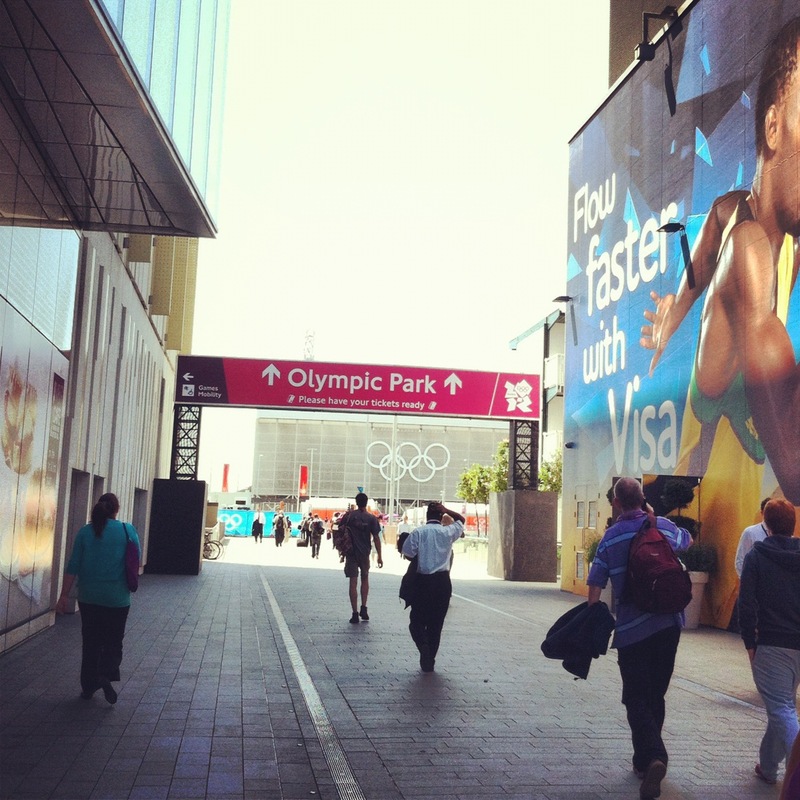 A word of caution: During the Olympic Game, use National Rail from Liverpool Street Station instead of Central Line. 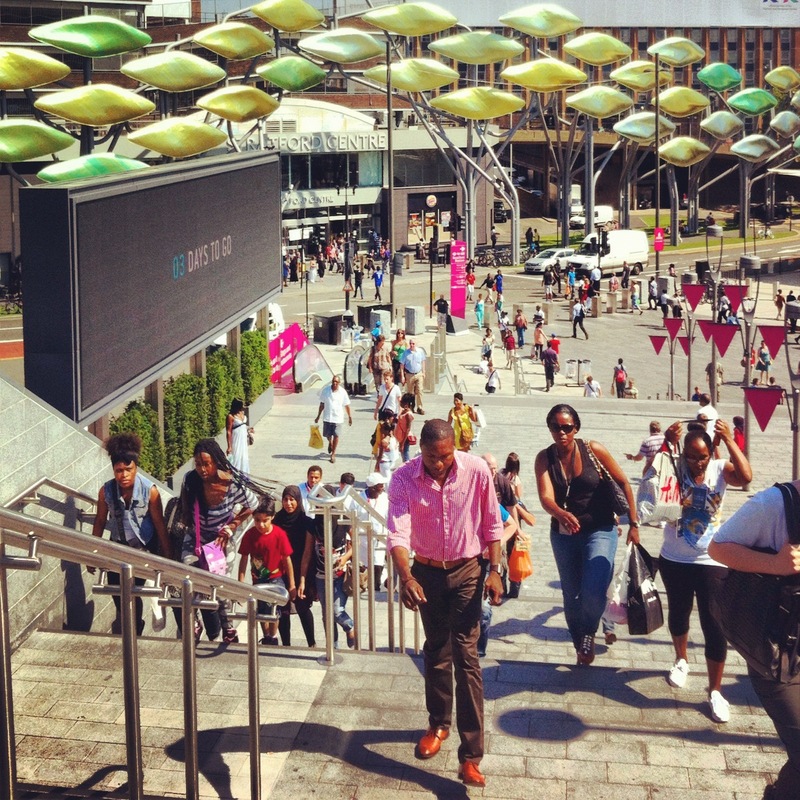 After following the winding subway, I emerged to the entrance of Westfield Stratford City. There weren’t any obvious sign post for the ticket office. 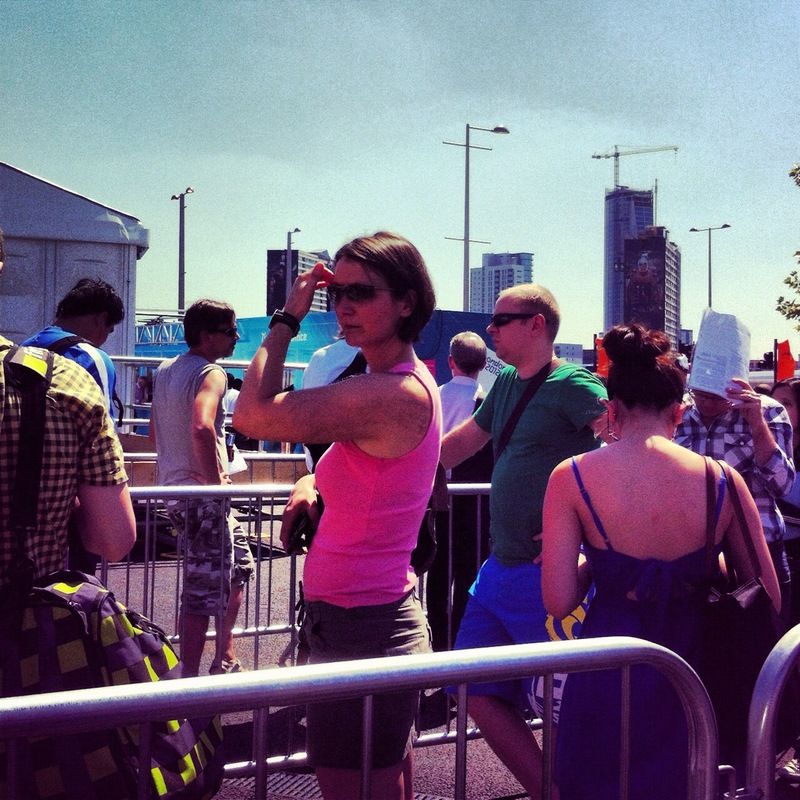 So I asked one of the guys with the bright pink vest with London 2012 logo. 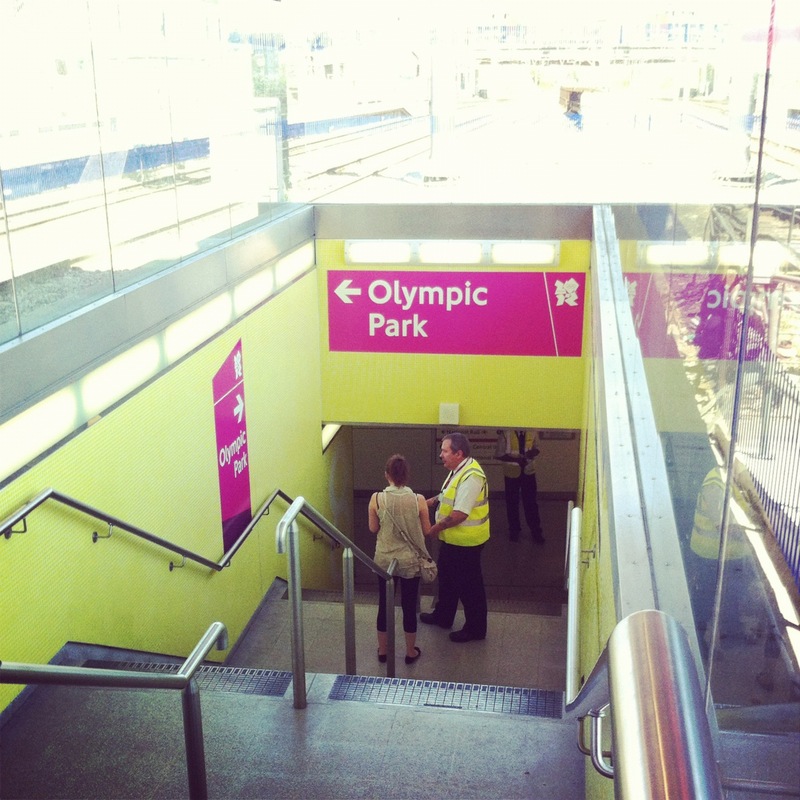 On the upper level, I found another guy with the vest and he took me to the entrance of the Olympic Park. Hooraaaaaaaaaaay! 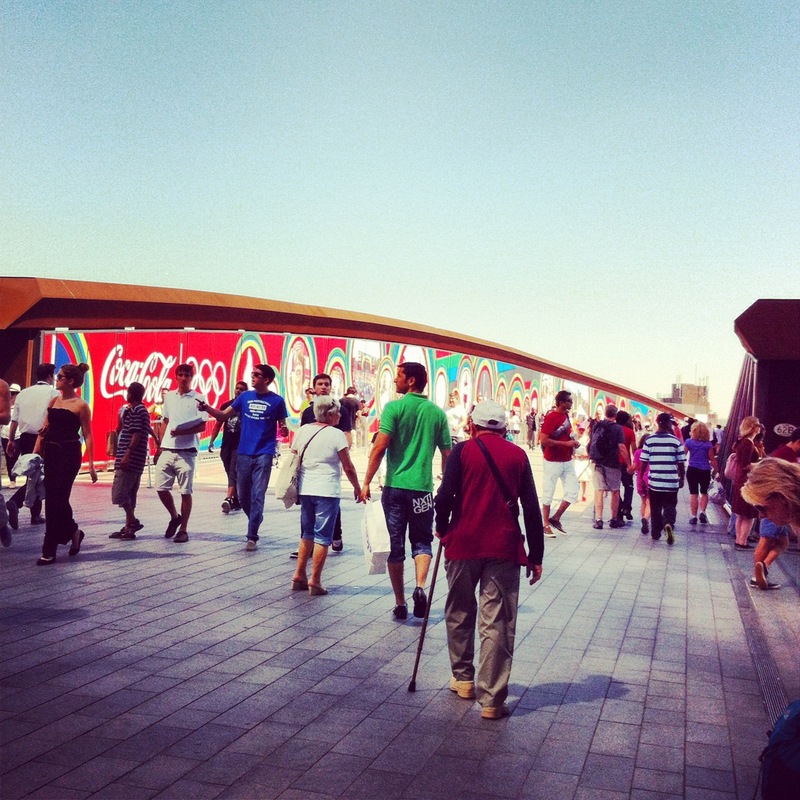 I am in the Olympic Park. Then, I found the queue for the box office. Apart from the tickets themselves, I only received a pair of return travelcards for the day. No map or any visitor’s information pack things. 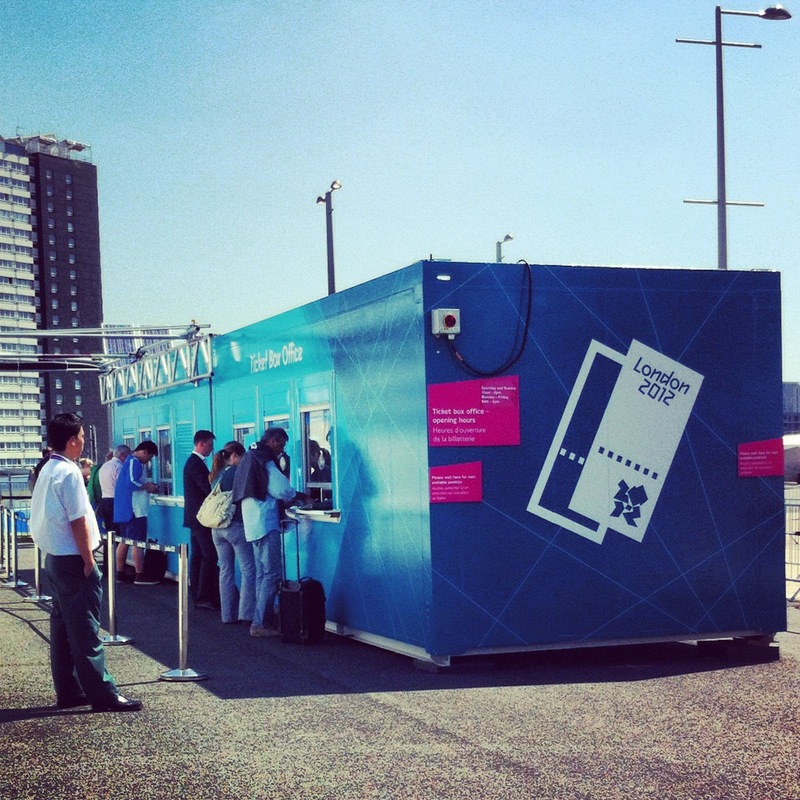 I suppose the Olympic organizers expect us to download and print from London 2112 site by ourselves? 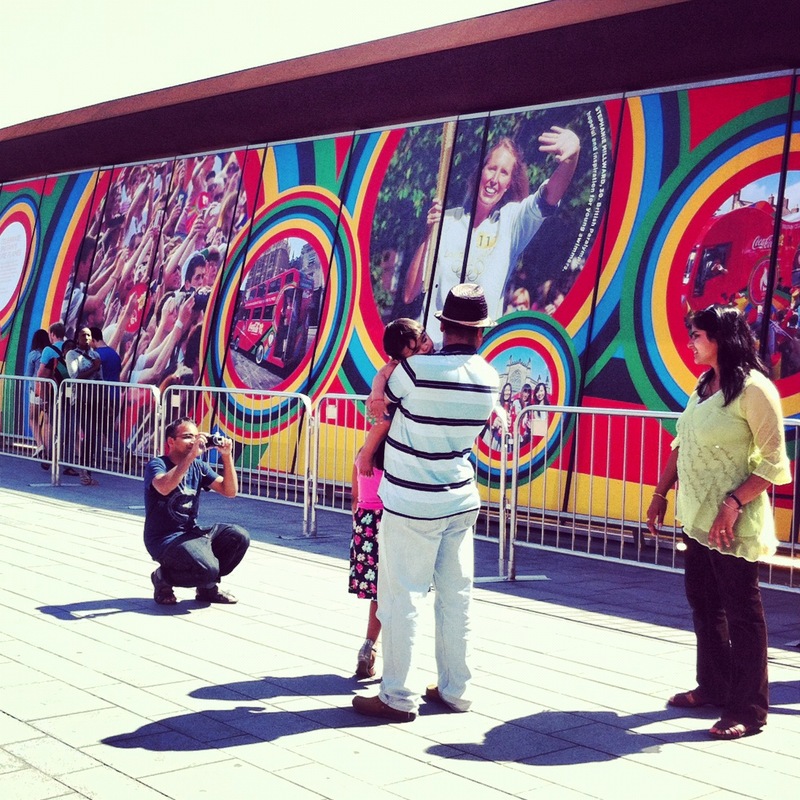 I must admit that the staff attending the Olympic venue were superb. They were polite and helpful. One lady I encountered was especially pleasant. Keep up the good work, boys & girls! 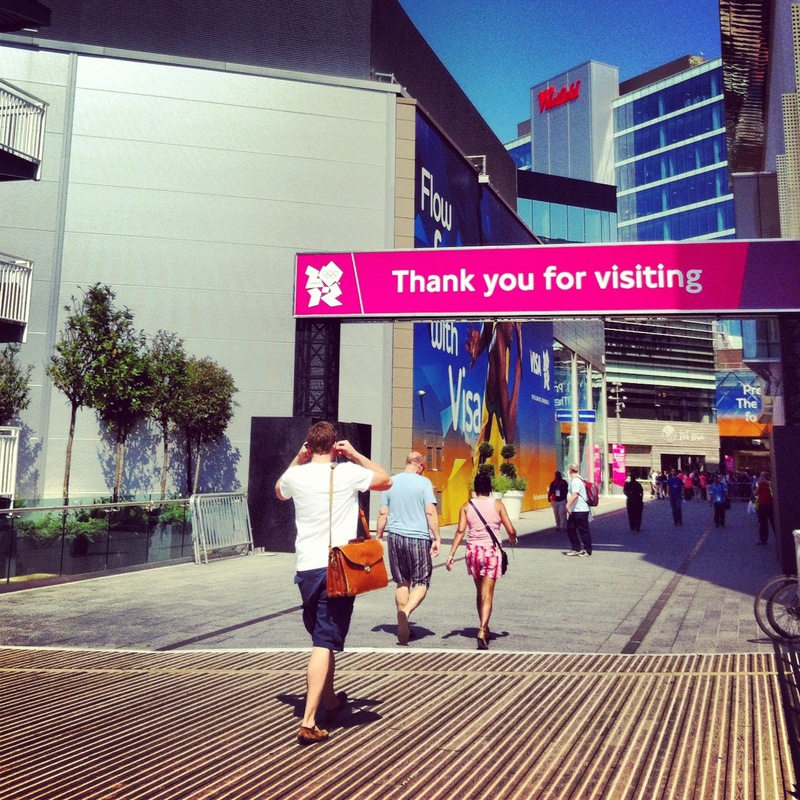 It’s so weird that I felt nothing special about London 2012 until one week ago. 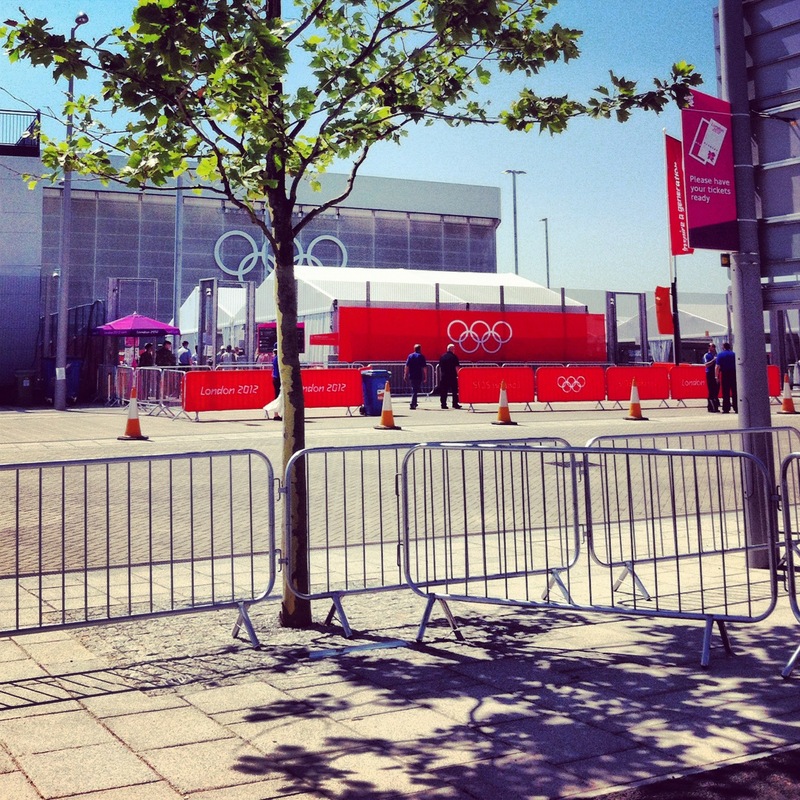 Then, it dawned on me that the world’s biggest sporting event was about to come to London! 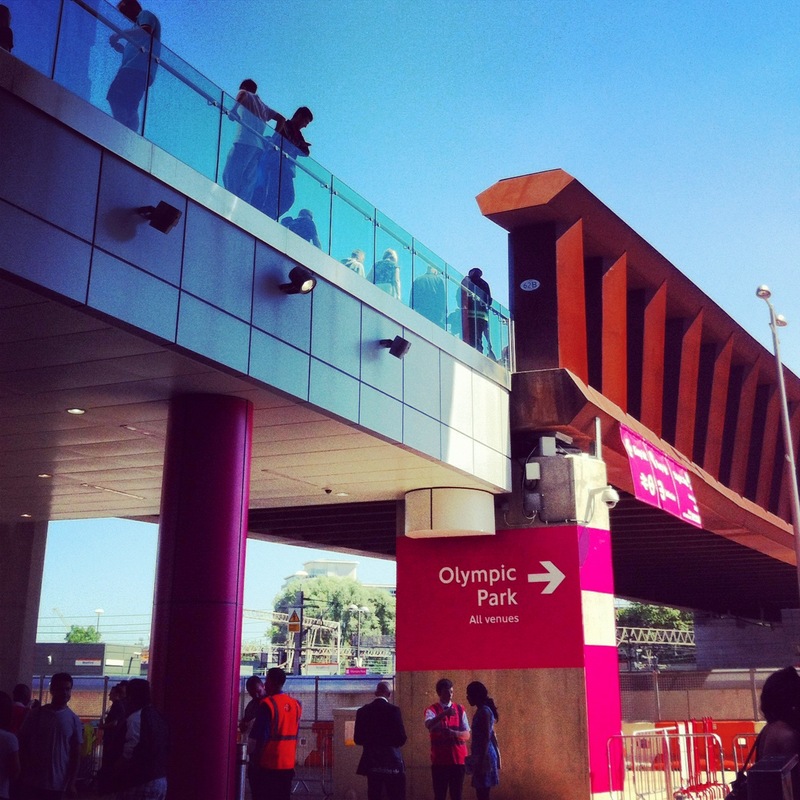 The end of the foot bridge was a bus terminal and Stratford Station. 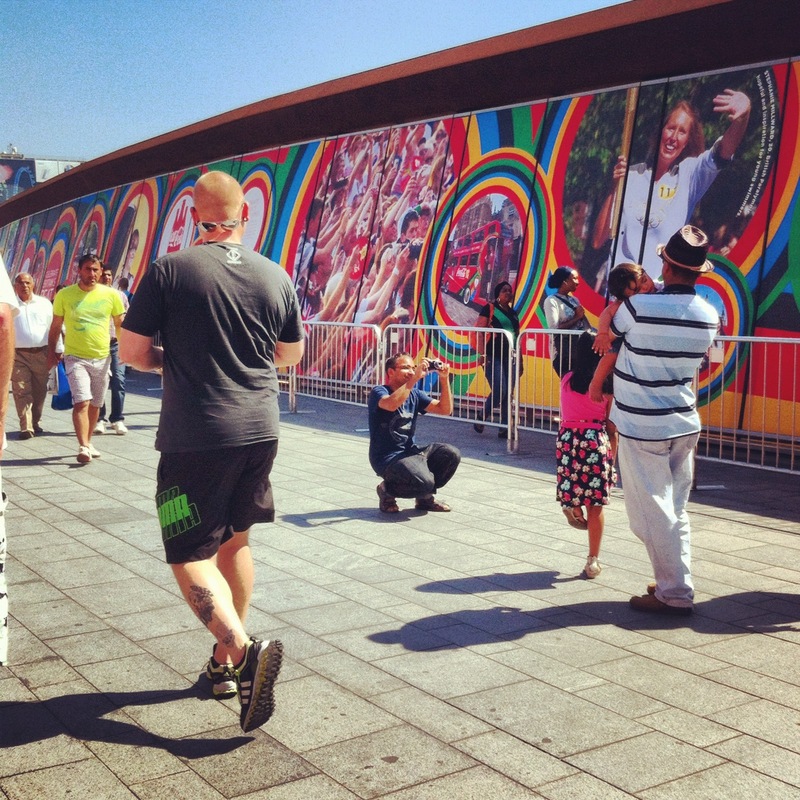 Because of the Olympic Game, Stratford has transformed drastically. 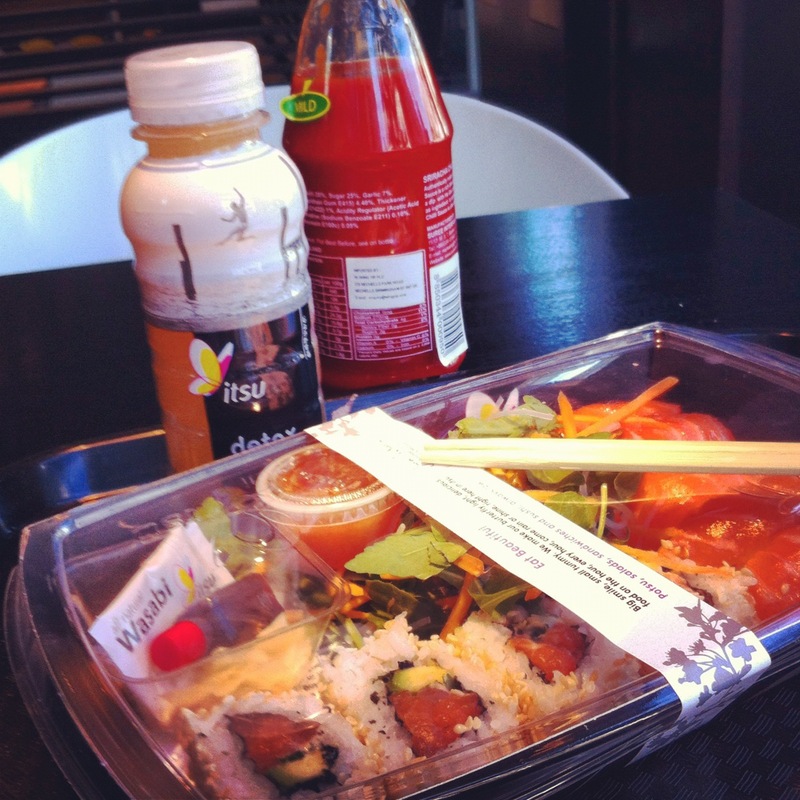 At Itsu near Finsbury Square, I had a late sushi lunch. Thank you! Are you going to see any game?